Android finally gets a simple way of streaming content to AppleTV and DLNA devices. I haven’t tried it with local content yet but I’m hoping this is the solution we’ve all been waiting for! 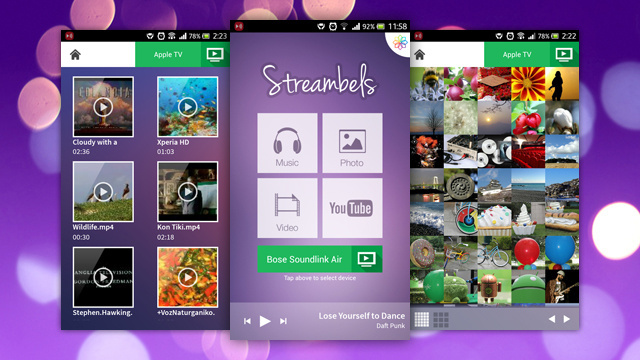 Streambels Streams Your Phone to TVs, Consoles, and Set-Top Boxes. This entry was posted in Audio / Visual by Paul Blouin. Bookmark the permalink.